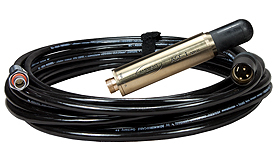 The ASF-2 MKII Hydrophone is affordable, easy to use – and simply a great sounding hydrophone. 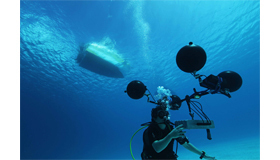 Designed with key components used in the renowned ASF-1 MKII, the ASF-2 MKII effectively utilizes the same professional hydrophone technology for outstanding underwater audio capture. With a frequency range of 70Hz-20kHz, we designed a microphone able to capture a perfect spectrum of sounds while effectively avoiding low frequency noise created by cable handling. The housing is machined out of high-quality aluminum with an anodized exterior for protection against the corrosive nature of seawater, while the 10m polyurethane cable is cast into the housing for a water-tight seal. 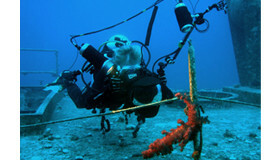 These design attributes enable the ASF-2 MKII Hydrophone to easily withstand the roughest field conditions. In addition to being an affordable hydrophone, the ground-breaking design of the ASF-2 is makes it affordable to operate as it is compatible with standard professional audio equipment. 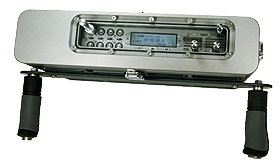 Terminated with an XLR connector and powered by 48V Phantom, this plug-and-play hydrophone is designed for use with today’s professional field mixers and recorders for outstanding underwater recordings. 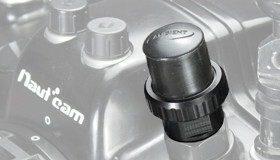 Never before has professional underwater audio capture been so affordable.